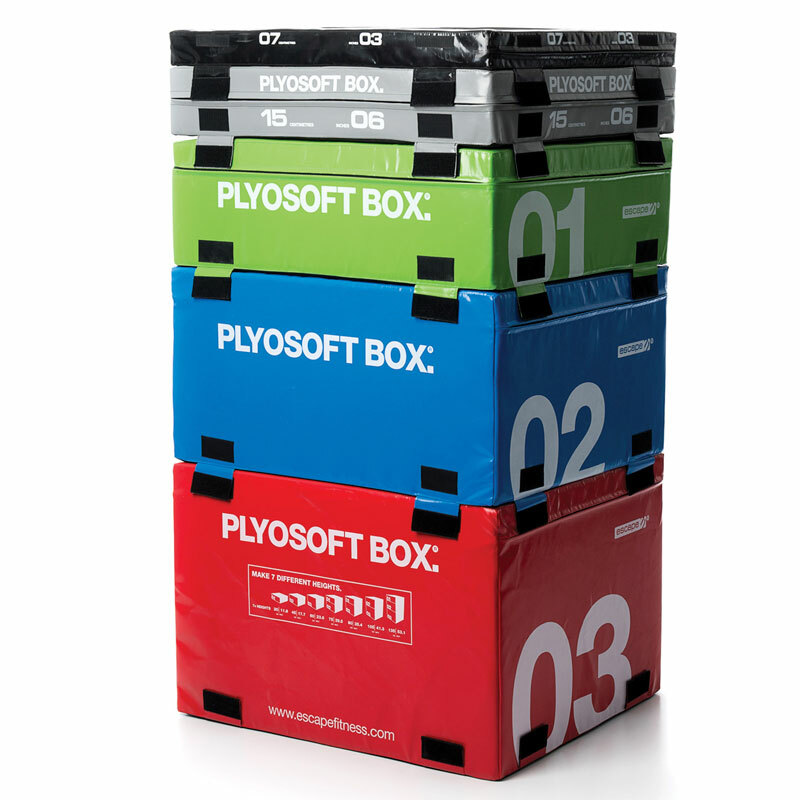 The Escape Plyosoft Box variable-height Plyosoft Boxes are perfect for power development and performance. 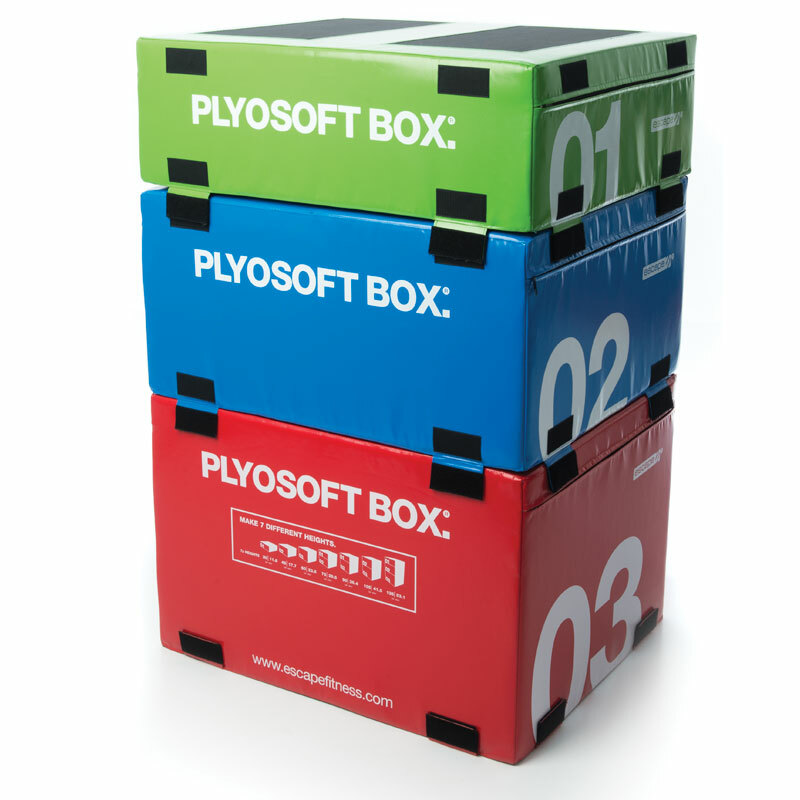 They can be used as a set of five or individually, helping you to progress and regress exercises. Suitable for a wide range of fitness abilities. Bright and colourful design with a soft surface construction is ideal for beginners as it helps take the fear factor away from jumping. 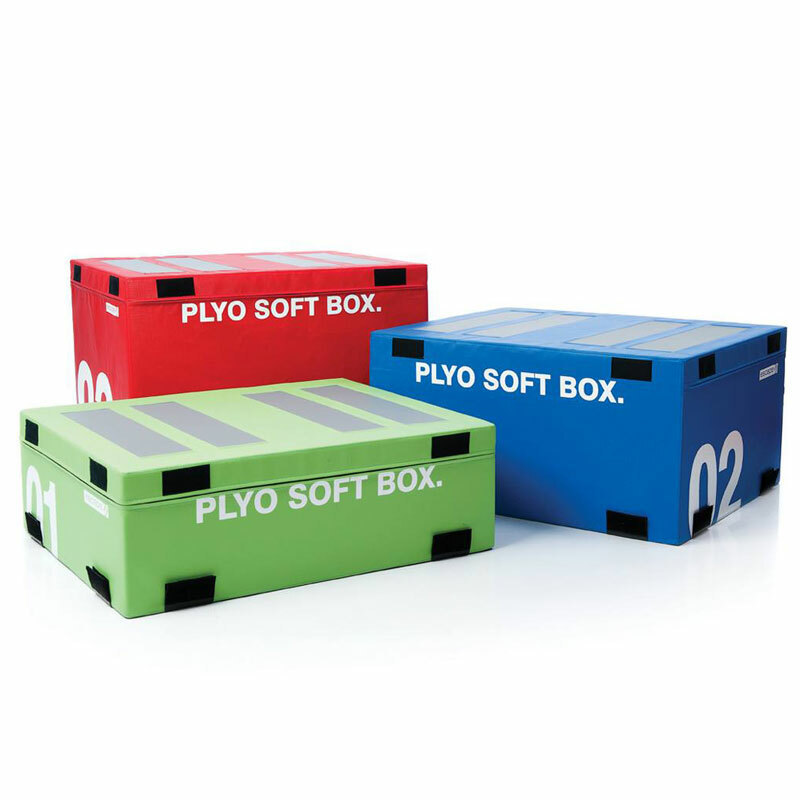 Safe – our Plyosoft Boxes can be used together or individually and have been specifically designed to incorporate urethane anti-slip landing strips on the top of each box to prevent user injury. 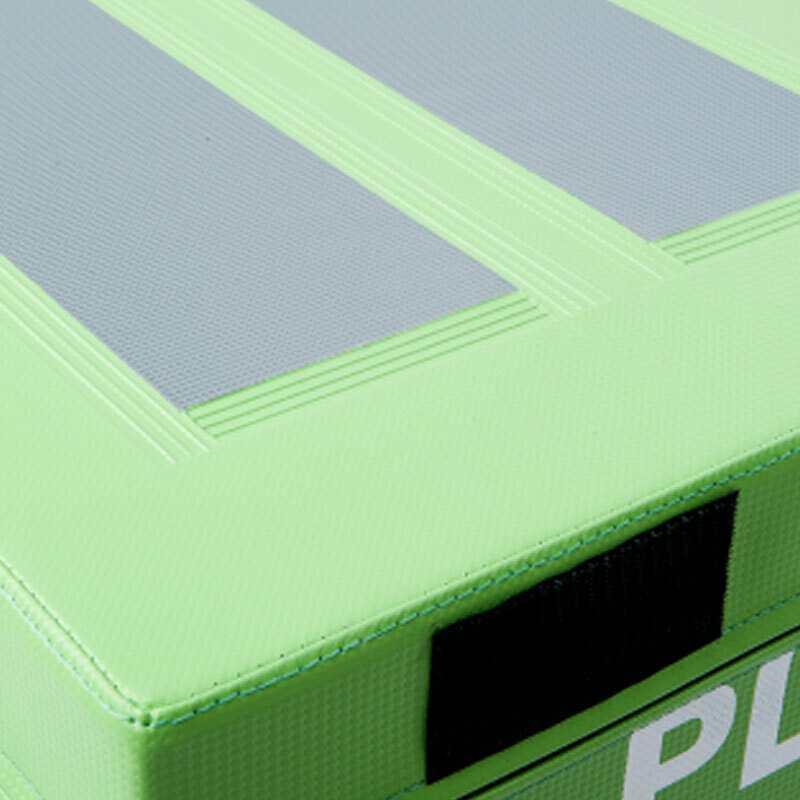 Sturdy – the strong Hook and Loop fixing straps and the cross-linked foam core boxes mean users can perform jump exercises without worrying that the boxes will come apart. Level 0.25 - 900mm x 750mm x 70mm. Weight 8kg. Level 0.50 - 900mm x 750mm x 150mm. Weight 10kg. Level 1 – 900mm x 750mm x 300mm. Weight 9kg. Level 2 – 900mm x 750mm x 450mm. Weight 13kg. Level 3 – 900mm x 750mm x 600mm. Weight 16kg.